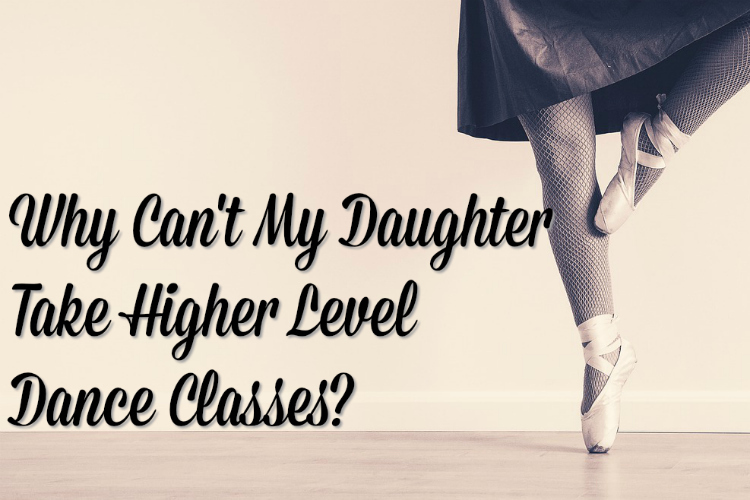 So many Moms these days want their young dancers in higher level classes. They want them pushed. In a lot of ways, I see the reasoning. You want your dancer to get the very best, so that they can be their very best. You do not want them to feel bored or like they are not learning much. You want to see them turn more and jump higher. You want their legs to be more stretched and you want them to dance like the other girls that your dancer strives to be like. Here is the thing, to succeed in dance, you have to have incredible patience. Dance technique takes years to develop and decades to prefect. I use the analogy of teaching a child to read when I speak with parents on this issue. NO teacher would EVER attempt to teach a child to read without first teaching them their ABC’s and each sound that those letters make. Without a clear understanding of that knowledge, trying to teach them to read would be nearly impossible. Sure, they may get a few words, they may be able to write a few coherent sentences, but they would be limited at best. It is the same with dance. If you think of it in these terms, that ballet and beginner level classes are teaching your dancer the ABC’s of dance and how to use those letters to make movement and do it safely and correctly, then the idea of your child being in higher level classes before your dancer is ready just does not make sense. My advice to parents is TRUST your teacher. As a dance teacher, we do not want to hold your child back for our own amusement or because we do not see talent in your dancer. I want to see ALL my students succeed. All of them. And your expectations and my expectations as a teacher can be, and often are, very different. While you may want see more turns and higher leaps, I want to see them execute these steps with correct technique. In higher level classes, teachers will not always stop to break down a certain step. In more advanced classes, we expect dancers to already have the knowledge to be in that level. When we push a child to do a step that their body or technique level is not ready for, we put that child’s body in danger. Your dancer could develop bad habits as they try to “cheat” their technique. The muscles learn the poor technique and it has just become that much harder for your dancer to learn to do that step correctly. Not only that, but now your dancer is more prone to injury than she would have been had she learned the step correctly the first time. It’s not easy to be patient and it’s not easy to watch the other girls doing way more fun steps while we are over here still working on stretching our feet. At the end of the day, if your dancer sticks it out, it will all be worth it! Their bodies will be strong, they will be using the right muscles, and their technique will be better. Trust that your dance teacher knows what they are doing and that we are placing them in levels that match their abilities and knowledge. Remember, that it takes time to develop dance technique and your child will only be a better dancer down the line if they learn correct technique from the very beginning. See a listing of classes available with Mrs. Emily by visiting this link!